Philippe Halsman was a Latvian-born American photographer who studied in Dresden and Paris before emigrating to the United States in 1940. He formed a fascinating collaboration with the Spanish surrealist artist Salvador Dalí, with the most famous photograph of their work together pictured above. 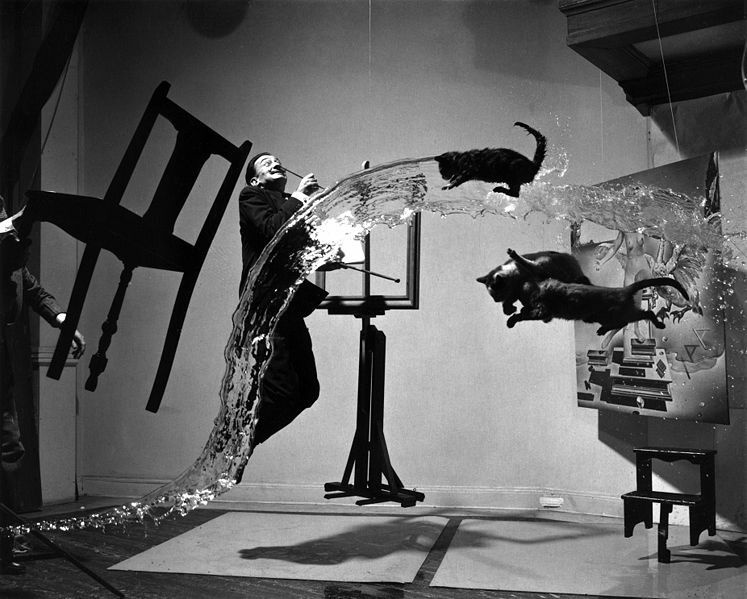 The title of the photograph is a reference to Dalí's work, Leda Atomica, which can be seen in the right of the photograph behind the two cats. Halsman, Philippe. Salvador Dali A (Dali Atomicus) – 1948. Wikimedia Commons. Accessed 24 June 2010.